Iranian ships have the right to be present in international waters, but won’t be allowed to enter Yemeni territorial waters, spokesman of the Saudi-led anti-Houthi coalition forces said Wednesday. 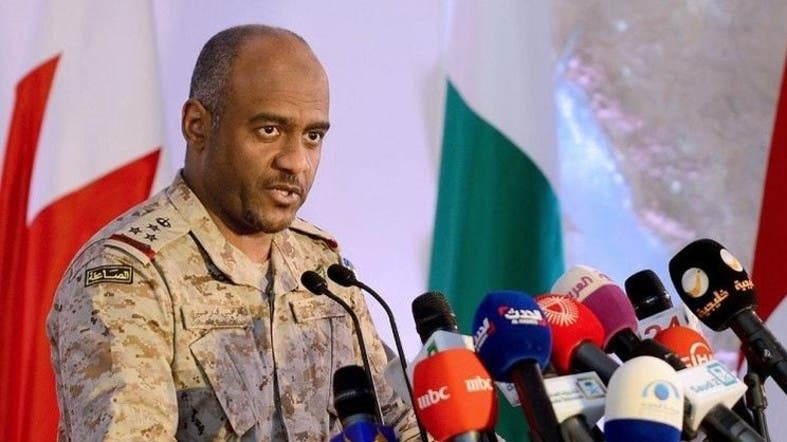 Speaking to reporters in Riyadh, Saudi Brigadier General Ahmed Asiri made the remarks in a reference to Iran’s decision to send two warships to the Gulf of Aden earlier in the day. Iran, which denies arming the Houthis, said the warships were sent there to protect Iranian shipping. During his daily military briefing on Operation Decisive Storm, Asiri said the coalition reserved the right to respond to any attempt by Iran to arm Houthis. Meanwhile, Asiri confirmed that a medical shipment had docked in Aden on Wednesday. He also said Yemen needed to end the Houthi coup in order to fight al-Qaeda militants.